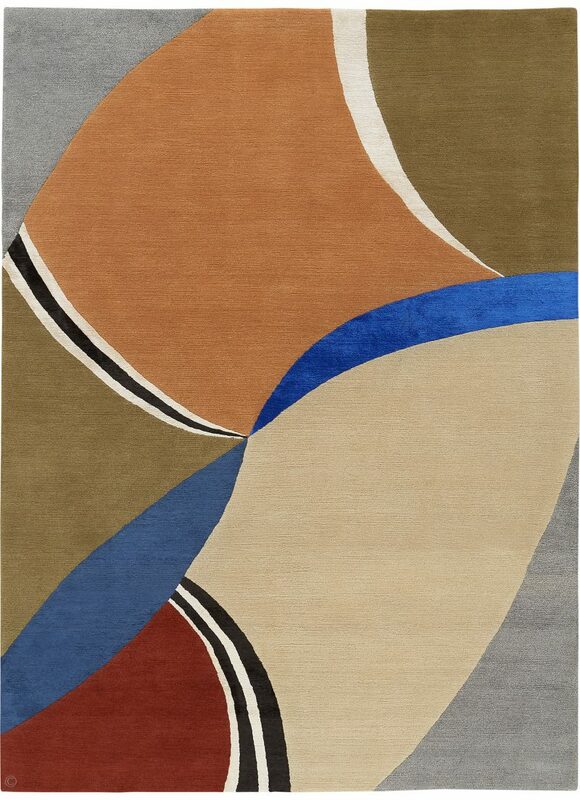 Hand knotted rug in wool and silk. Goodweave certified. Taking inspiration from the duck of the same name, abstracting the wing patterns and colours.